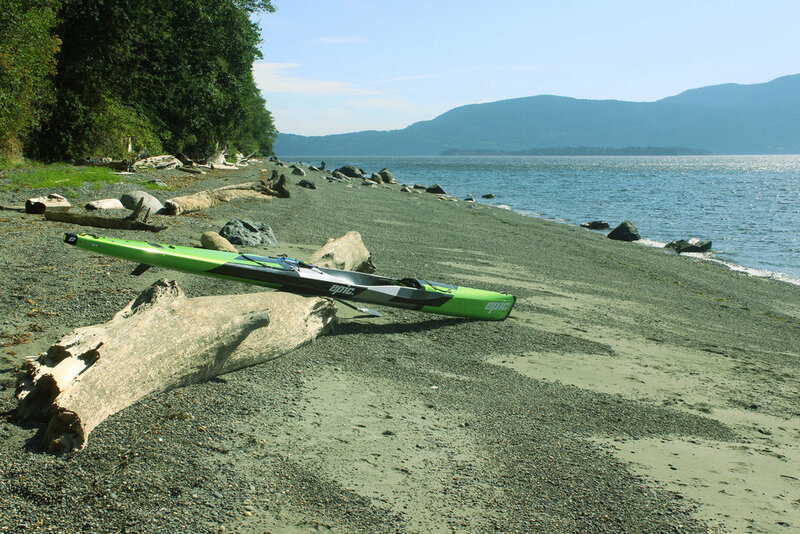 In 2014 Russell Henry smashed the Vancouver Island Circumnavigation record. He paddled 750 plus miles around the rugged and formidable island in 12 days, 23 hours and 44 minutes. It stands as a remarkable accomplishment comprising wise strategy, excellent timing and incredible athletic performance and perseverance. I admire it deeply. But records are meant to be broken. For the last five years, I have been diligently preparing myself for an attempt to break Russel’s record, including an unsuccessful attempt in 2015 (injury). My desire is to maintain the community held ethic of minimal outside support (resupply only) while preserving the grand spirit of adventure and mystique of the Island itself. How to eat a whale? One bite at a time. Given the immense nature of “the island”, it’s important to break the mission into distinct segments with a unique set of tactics and strategic considerations for each segment. 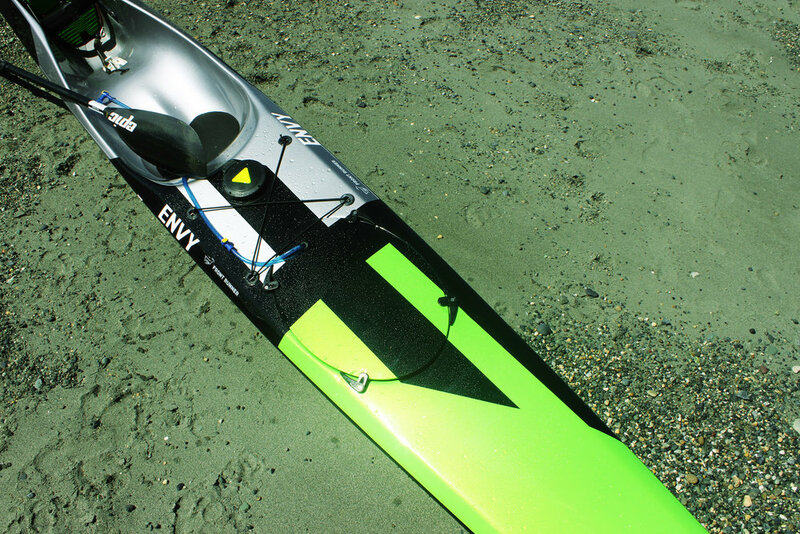 I will be paddling a custom built, expedition grade Epic surfski (pictured above), and plan to depart from Port Hardy and work my way counter clockwise around the Island with a favorable weather window. "Sure dude. Easier said than paddled..."
I agree. I made an attempt in 2015, and learned a lot about ultra-distance high speed expedition paddling and was humbled by the scale of the undertaking, and my own lack of understanding. I learned a LOT from that attempt, and will be using a different strategy on this attempt. My 2015 attempt was "unsupported"; meaning no outside assistance of any kind, including resupply (with exception of water). This also meant that I had to figure out how to fit 120,000 calories and 12 days worth of gear and clothing into my boat. It is a fundamentally different undertaking than using support, and all the record circumnavigations have used a mix of different types of support to accomplish the task. To the best of my knowledge, the island has not been circumnavigated (human power) without support and resupply of some kind. I believe it is possible, but not for me. This is what sea sores look like. They are one of the many hurdles one must overcome. In order to make a credible attempt on the record, I have been conditioning my body, mind and spirit to handle the rigors of an extreme and unforgiving ocean environment. This typically involves two and three day blocks of 14 to 16 hour workouts on the water with a multi-day payload in high-wind / rough-water conditions that simulate what I will likely face over the course of twelve days on the Island. My craft is known as a surfski; a type of open ocean kayak that has a sleek, narrow hull and the ability to glide on the ground swell and wind waves found on the oceans. They are narrow, have little primary stability and take years of skill development to master. I have spent the last five years working with elite coaches and training partners to develop the mandatory skills for open ocean travel in a wilderness environment safely. Support is more than just drop bags of food. It also involves working with great brands that believe in chasing big dreams. Please support the supporters! “Why on earth are you doing this?” I have a long-standing love of adventure, and have found the freedom of the open ocean environment particularly inviting. My background in cycling and mountain climbing give me both a love of high intensity athletic performance as well as the practical skills to visit remote and wild places. 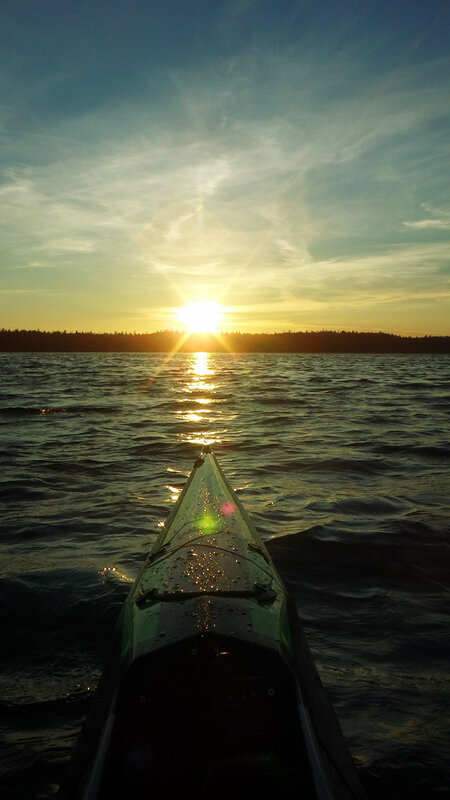 Vancouver Island presents a multifaceted set of challenges in seamanship, wilderness camping, athletic performance, endurance, psychology, nutrition and logistics. “You tried this in 2015, what will be different this time?” My 2015 attempt was undertaken entirely unsupported, meaning no outside assistance or resupply for the duration of the trip; a feat that has never been accomplished on Vancouver Island in modern times. And I now understand why. 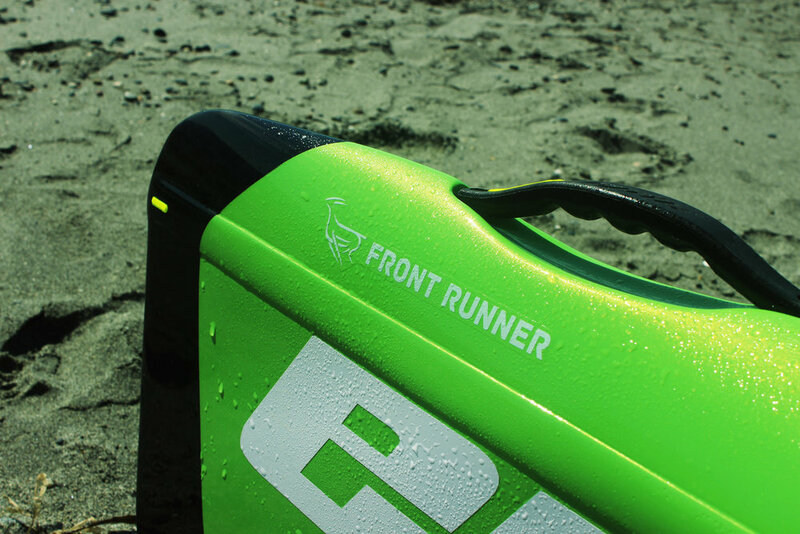 The challenge of fitting 120k calories of food, 12 days of clothing and gear into a small kayak, and then facing 18 hour days in the ocean is incredibly difficult. My attempt was cut short due to injury while coming ashore after clearing the last major crux on the West Coast of the island. At the time, I was ahead of the record pace and moving very well despite numerous challenges and setbacks, but that doesn't mean I would have broken the record anyway. The Island thumped me, day in day out. With those lessons burned into my mind, my 2017 attempt will involve a different overall strategy, utilizing resupply which will result in a lot less gear / weight in the boat. Every record-holder to date has used resupply and modest support to circumnavigate the island. “Will you have a boat follow you?” No. While understandable from a safety and logistics perspective, this would compromise the adventurous spirit of circumnavigating Vancouver Island. 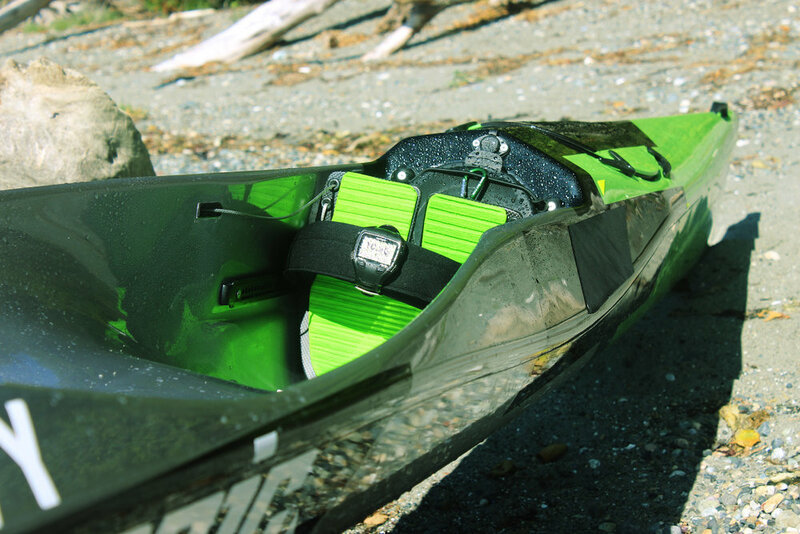 The concern amongst the paddling community is that a future expedition will use a support vessel that will alter the nature and complexion of the record, as well as amount to an unsporting advantage. “What will you do for food?” I will have a four day range of food, clothing and gear on board for each major segment of the island. I will resupply as needed once past the coastal city of Tofino. "How on earth do you eat enough to cover 16,000 calories in a day?" If a tape worm can do it, I can to! It is actually one of the harder aspects to solve for, but small increments of food make for a good start (seriously, thank you Mr. Tape Worm). If you've ever experienced "sugar gut" at the end of a brutal day on the trail, it's something you wont want to do twice, and I have completely eliminated all sugar based fuels to keep my engine running strong for 14 hour workouts, day after day after day. My sponsor Hammer Nutrition was terrific in helping me create a sustainable food strategy using products like Perpetuem to supply my energy needs and minimize gastric distress. “What about water?” The west coast of Vancouver Island is a rainforest environment and is blessed with an abundance of freshwater sources. The inside of the island however has more development and less access to free flowing streams, which will require water resupply in places like marinas and state parks as I journey. “Where will you sleep?” I will make camp and sleep on shore. The west coast of the island has white sand beaches and incredible campsites. The inside of the island has some nice camp sites, but requires a lot more resourcefulness and "nimble" approach to making camp. By the time I am on the inside, I will likely look a like a transient with a nice a kayak, so I might as well camp like one (sans whiskey). “Will there be bears?” Yes. Lots of them. My first attempt also included encounters with wolves and a mountain lion. “What does your family say about this?” I come from a clan of elite athletes and adventure seekers, and they are a crucial source of support and encouragement for me. In particular, my stepfather, Kevin King will be helping coordinate and execute resupply on the inside of the Island. "Can I paddle with you if you come by my town?" YES! Follow me on my InReach page, I won't have a lot of time to chat, but a friendly hello and a few kilometer's of company is most welcome indeed to break up the miles. "I have questions of my own, how can I get a hold of you?" There is a messaging feature on my expedition tracking site. Feel free to drop me a note, I may or may not be able to respond.